Here's what to know before choosing a miniature smart speaker. You’ve just noticed a great price on an Amazon Echo Dot or Google Home Mini smart speaker. Should you buy one? The prices are intended to make them impulse purchases, because both Amazon and Google are desperate to get their foot in the door of your home. Voice assistants and smart home automation are expected to be the next big thing in tech, and both companies know that once you experience the convenience of a smart speaker in one room, you’re likely to want it in others. 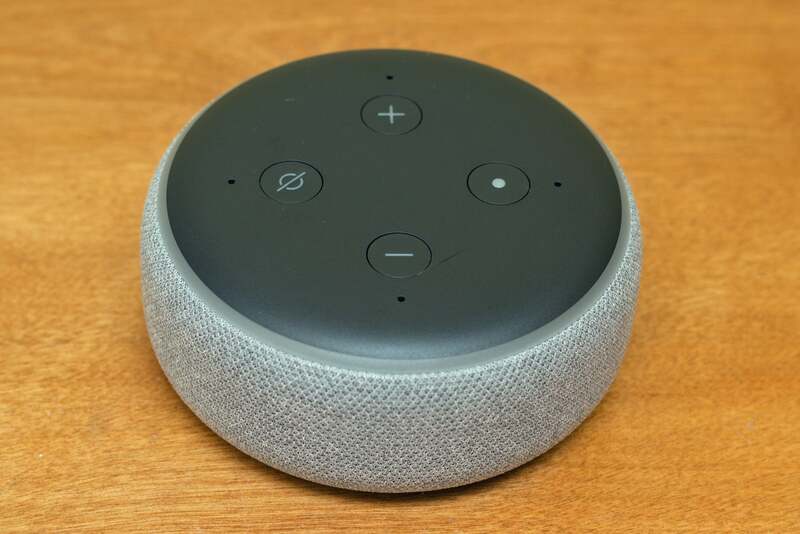 Updated November 20, 2018 to compare the Google Home Mini to the third-generation Amazon Echo Dot. Before making a purchase, you really should do your homework. It all comes down to the hardware, the capabilities of their digital assistants, and the way they can do things such as play music and control other smart devices in your home. Part of choosing between the two platforms is deciding whether you trust Amazon or Google more with your data, or perhaps if you care at all. Both devices will give their respective makers a much deeper look into your life: Google’s prime objective is to make you a more attractive target for its advertisers; Amazon wants to know more about your life so it can sell you stuff directly. 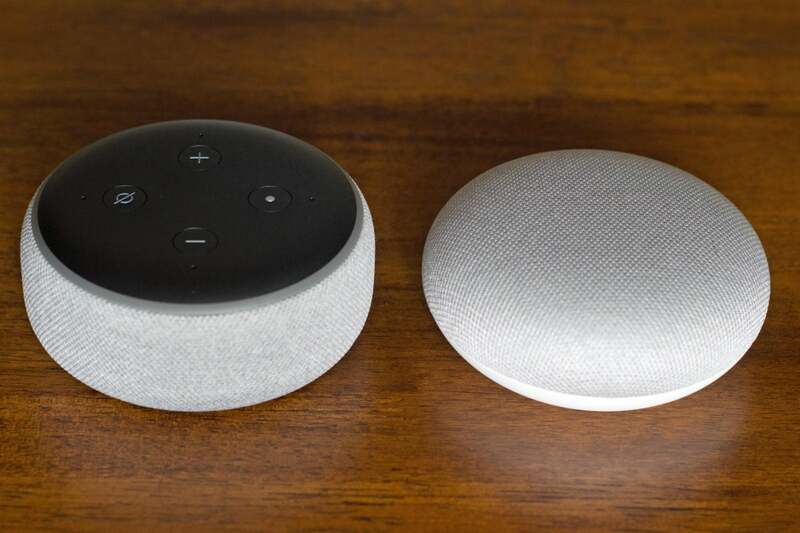 The Amazon Echo Dot (3rd Gen) and Google Home Mini are roughly the same size (the newest Echo Dot is slightly taller). 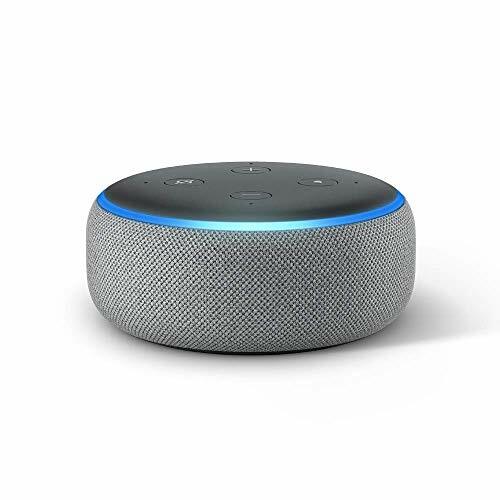 The Echo Dot is a hockey puck-shaped gadget with fabric-covered sides and buttons on top, while the Home Mini hides its touch-sensitive controls under a dome of fabric. The Echo Dot is available in light gray, dark gray, or off-white, while you can pick up a Google Home Mini in chalk, charcoal, or coral (aka white, gray, or pink). The Echo Dot connects to its power supply with a barrel connector, and the Google Home Mini uses a USB power supply. Both need to be connected to power full time, but you can buy a third-party battery dock for either of them. Both are suitably low profile to fit in almost any location in your home. You’ll want to place your smart speaker in the room where it’s likely to be used most often, but engineers at Amazon and Google have crammed a bunch of microphones into each gadget so they’re actually pretty good at hearing commands even when you’re in a different room. That can feel a little invasive, knowing the speaker is listening all the time, but that’s the deal you make when you invite one into your home. Both have a mute button that disables the microphones should you wish, but for maximum convenience and the ability to issue voice commands on a whim, you’ll want your smart speaker’s mics to be always active. If you plan to mute the mics regularly, the process is more straightforward with the Echo Dot, which has its buttons up top. On the Google Home Mini, the mute switch is on the back. What’s more, you must hold the device steady to flip the switch, but holding the sides can adjust the volume controls—a design that clearly presumes most users won’t do this often. Both speakers require you to use its respective wake word—either “Alexa” or “Hey, Google”—before giving a command, which then gets sent to a cloud service for interpretation and action. Google Home devices will also respond to "OK Google." You can change an Amazon Echo's settings so that it will respond to "Amazon," "Echo," or "Computer." Both allow you to review your history of commands, listen to the audio picked up by the speaker, and delete individual commands if you wish. If it ain't broke, don't fix it. The third-generation Echo Dot has the same easy-to-use buttons on its top as the first one did. The most pronounced difference between the two speakers is in their respective digital assistants: Amazon Alexa and Google Assistant. Note that both are constantly evolving and adding new features and capabilities, so any comparison is based on a snapshot in time. That said, tests of both products by TechHive and other tech publications all generally agree: Amazon Alexa excels as a tool for ordering stuff, while Google Assistant wins out when it comes to general search and information requests. Both platforms are pretty good when it comes to controlling other smart home devices and systems, although Amazon was more aggressive early on when it came to working with third-party developers. Google, however, has come a long way on that front. So if you envisage your primary use to be adding items to your Amazon shopping cart—“Alexa, reorder coffee”—then Alexa is the way to go. If you want to use it less for shopping and more for information—“Hey Google, how long will it take for me to get to Sacramento by train?”—then Google might have the edge (Alexa responded to that query with driving time.) If you’re looking to control your other devices in your home, check to see which platform is the most compatible with what you have. More on that in a bit. Google Assistant is better at understanding mixed syntax and more complex queries. Combined with the voice it uses to respond, Assistant tends to feel a bit more natural. Amazon has been beefing up its information offerings, so you can now ask Alexa about things like the weather and traffic—the kind of information you’d normally head to Google for—but just like using Bing or Yahoo, the search and results are just not quite as strong. This is especially true if you use Google regularly and are accustomed to its results. With Google, you can also string commands together in a single sentence. With Alexa, you must give it one command at a time, waiting for it to respond before giving it another. One of the things I like best about a Google Assistant-powered speaker is that it shares relevant information with my Android phone. So if I ask for the traffic to San Francisco, it tells me and sends the route to Google Maps. Or when I ask where to buy Chinese food, it sends details on local restaurants. Alexa could do the latter, but not the former. 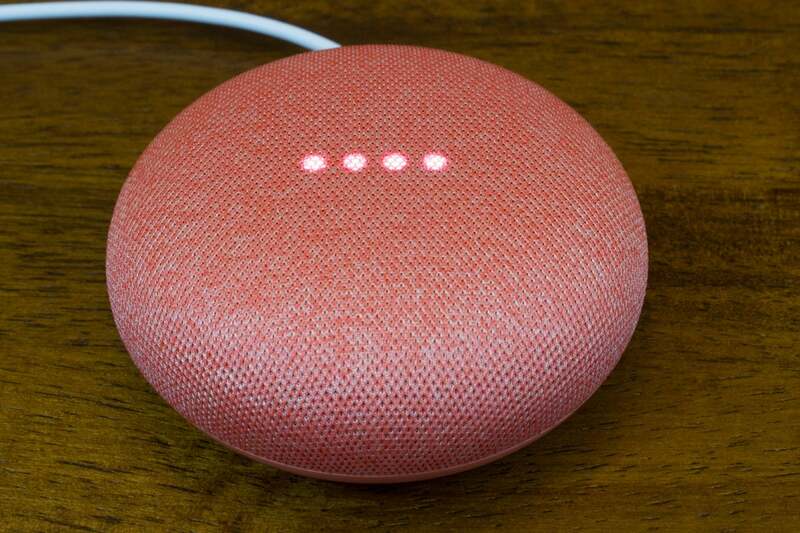 In fact, if you use Google’s Gmail, calendar, and other apps, you’ll be able to do much more with a Google Home Mini than an Echo Dot. Another area of significant difference is music playback. 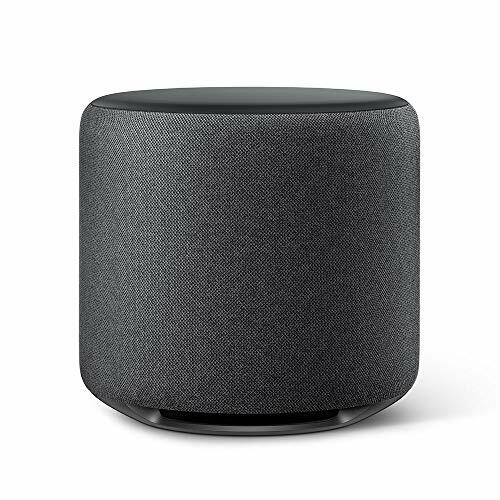 The speaker on the Google Home Mini is superior to that on the second-generation Echo Dot and provides a deeper, richer, louder sound when playing music. But that situation is entirely reversed with the third-generation Echo Dot. What's more, you can pair two third-gen Echo Dots to operate as a left/right stereo pair, and if you want deeper bass response than the smaller speaker can deliver, you can add add Amazon's $130 Echo Sub subwoofer to the equation. 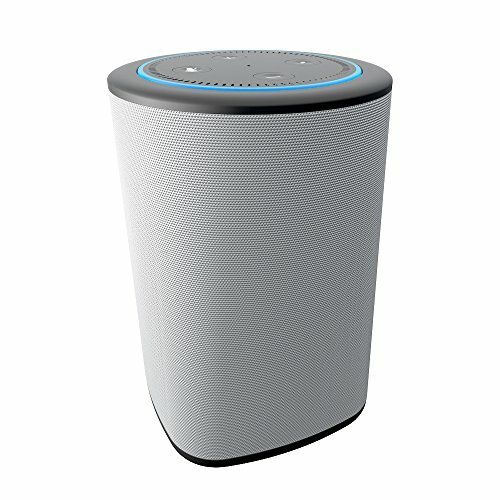 If you want better sound, the Echo Dot has a 3.5mm aux output, so you can connect it to external speakers (including battery/speaker combos, such as the Ninety7 Vaux). And both the Dot and the Mini can be connected to external Bluetooth speakers, but those solutions diminish the benefits of having a small, compact unit. When it comes to music sources, Google has the edge again. Both will stream music from Spotify, Pandora, iHeart Radio, and TuneIn as well as their own respective music services: Google Play Music and Amazon Music. But if you want to listen to your own digital music library, you’re better off going with Google Home. Amazon discontinued the ability for users to upload their own songs in favor of selling you tunes, while Google still lets users store their own music and playlists in Google Music. (There’s a workaround for playing your music on an Echo, but native support is obviously preferable.) Both speakers can also control some other speakers, such as the various offerings from Sonos. Recently Google demonstrated a system that allows Assistant to make calls on your behalf. Called Duplex, it’s an impressive and somewhat spooky tech development that could handle things like making a restaurant reservation, but so far it’s not available to consumers. Amazon's recent partnership with Microsoft has resulted in Echo speakers being able to make both audio and video calls using Skype. Both devices have a broadcast feature that allows you to send a voice message from one unit to other units in your house, much like an intercom. Once you’re accustomed to your digital assistant answering questions and carrying out orders, you’ll probably want to use it to control things around your home. A key feature of both devices is the universe of smart home gadgets they can connect to and control. Many products can tie into both Alexa and Google Assistant, but some are just one or the other. A prime example of the latter is Amazon’s Ring security cameras and video doorbells, and Google’s Nest cameras and home security system. These are both major purchases with ongoing monthly charges, so your decision on a cheap smart speaker now could influence money you spend in the future. For a comprehensive picture of all the top smart speaker options, see our roundup of the best smart speakers.